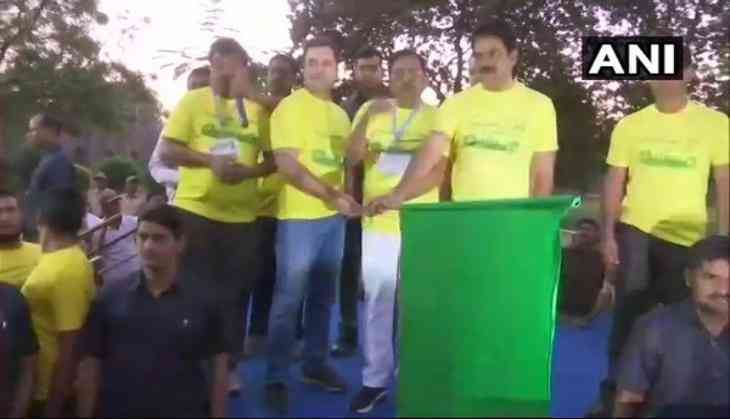 Congress president Rahul Gandhi on Sunday flagged off the half marathon, 'Vrukshathon' 2018, at the Gol Gumbaz, in Karnataka's Bijapur. This is Gandhi's second visit to Karnataka ahead of the polls. In the first leg of his tour, he visited the districts of Bellary, Koppal, Raichur, Yadgir, Gulbarga, and Bidar he also stopped at several prominent local temples and religious centres.